The major roads across Sussex appear to be free from accidents, according to traffic reports at 10.15am this morning. 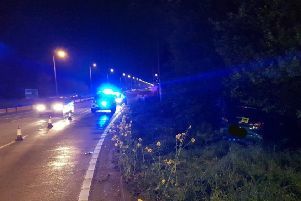 A car did however reportedly roll over on the A275 Lewes Road near Lanes End Farm, between Haywards Heath and Uckfield. It caused delays at around 6.30am but now seems to have been cleared. On the trains, there are rail replacement buses operating between Three Bridges and Brighton and Lewes today due to engineering works. The car park at Three Bridges is closed for the buses and the area is said to be likely to be busy. Otherwise Southern is reporting a good service on its Coastway lines, though it warns services may be amended due to engineering works between Brighton and Three Bridges.